Editor’s Note: We updated this article for 2019. This is our third time ranking the most diverse places in Alabama. There are parts of Alabama where there’s a high level of diversity — where people of all walks of life come together. We decided to shine a light on those places today. Using a standard measure of diversity, we ranked all 103 cities in Alabama from most to least diverse. So what city is the most diverse in Alabama? 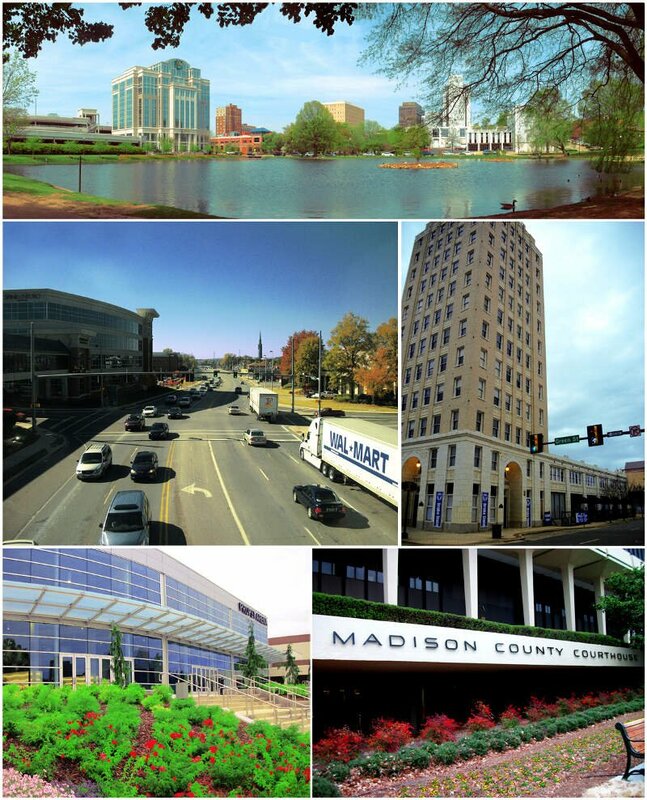 According to the most Census data, Tarrant took the number one over all spot for diversity in Alabama. Read on below to see how we crunched the numbers and how your town ranked. To see where Alabama ranked as a state, we have a ranking of the most diverse states in Ameria. We still believe in the accuracy of data — especially from the census. So that’s where we went to get the breakdown of race across Alabama. We limited our analysis to non-CDPs with a population greater than 5,000 people. That left us with 103 cities. We then calculated the HHI for each city by finding the racial breakdown of a city in percent terms, squaring them, and then adding the squares together. This left us with scores ranging from 3,787 (Tarrant) to 9,302 (Orange Beach). 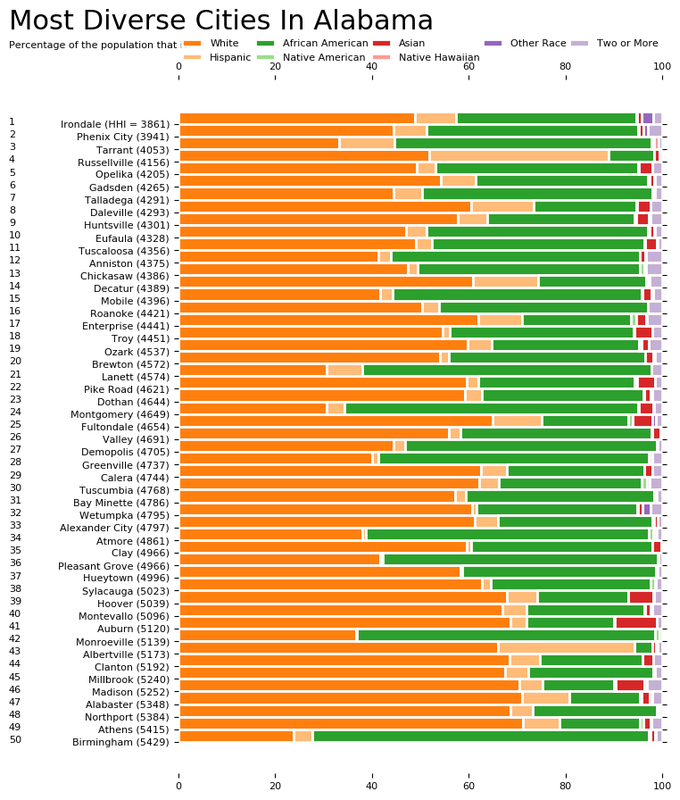 Finally, we ranked each city based on the HHI with a lower score being more diverse than a high score. Tarrant took the distinction of being the most diverse, while Orange Beach was the least diverse city. 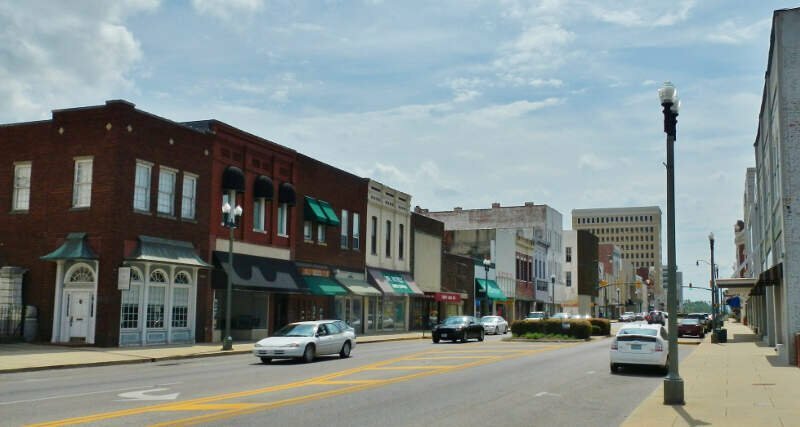 Read on for more information on how the cities in Alabama ranked for diversity or, for a more general take on diversity in america, head over to our ranking of the most diverse cities in America. Tarrant is a city in Jefferson County, Alabama, United States, southeast of Fultondale. At the 2010 census the population was 6,397. It is home to the ABC Coke plant owned by the Drummond Company, “the largest single producer of foundry coke in the U.S.”. Irondale is a city in Jefferson County, Alabama, United States. 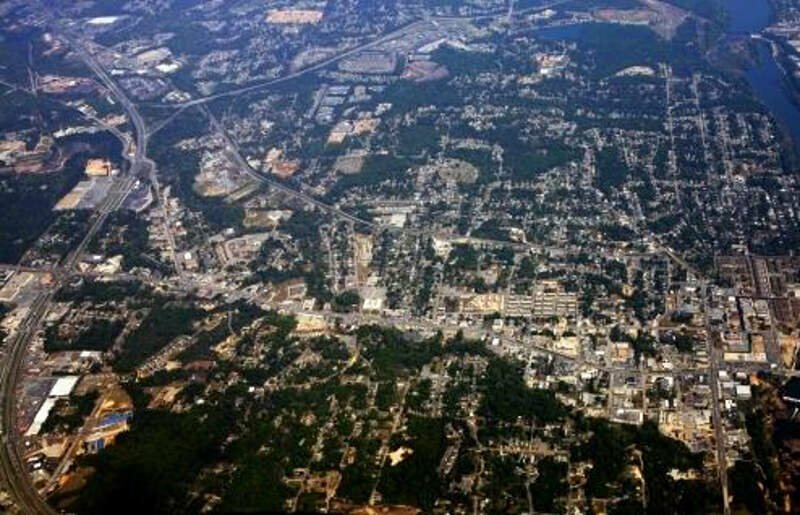 It is a suburb of Birmingham, northeast of Homewood and Mountain Brook. At the 2010 census the population was 12,349. 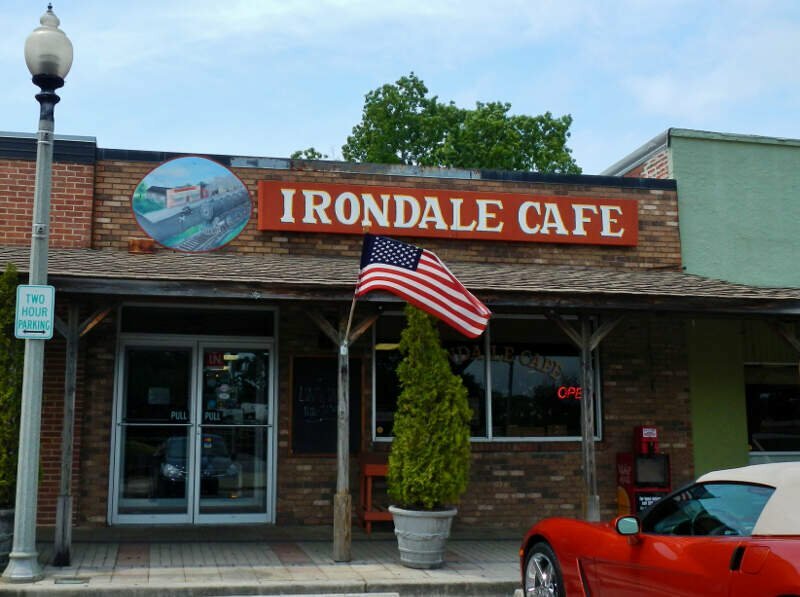 The setting of the book Fried Green Tomatoes, by Irondale native Fannie Flagg, is loosely based on the town and the landmark Irondale Cafe, known as The Whistle-Stop Cafe in the book & film. Irondale is also the location of Catholic radio/television broadcaster EWTN. The city’s annual Whistle-Stop Festival attracts thousands to its eclectic mix of art, food and music. Anniston is a city in Calhoun County in the state of Alabama. As of the 2010 census, the population of the city was 23,106. According to 2013 Census estimates, the city had a population of 22,666. 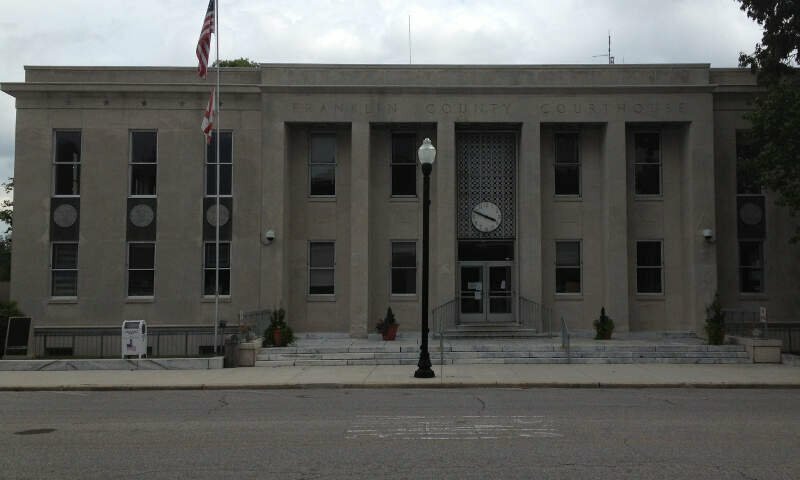 The city is the county seat of Calhoun County and one of two urban centers/principal cities of and included in the Anniston-Oxford Metropolitan Statistical Area. Daleville is a city in Dale County, Alabama, United States. At the 2010 census the population was 5,295, up from 4,653 in 2000. It is part of the Ozark Micropolitan Statistical Area. 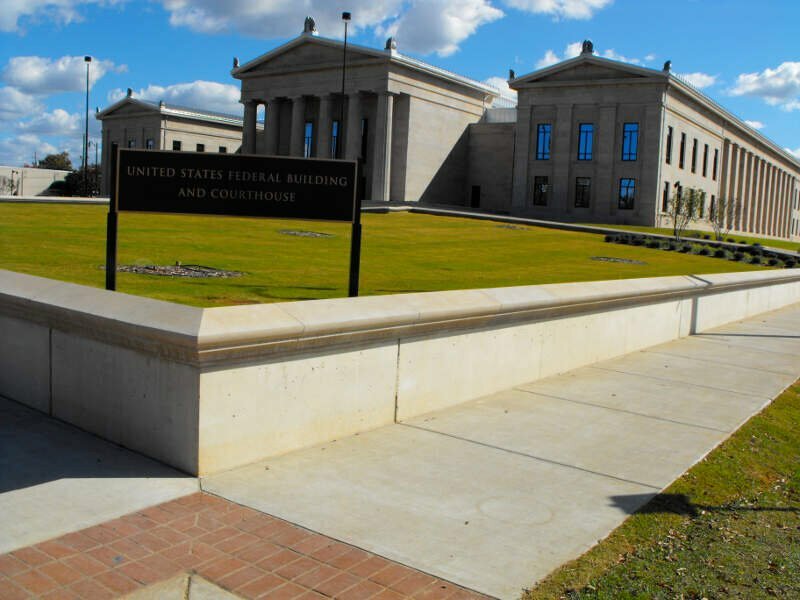 The city’s nickname is “Gateway to Fort Rucker”, as this U.S. Army post is located just north of town. 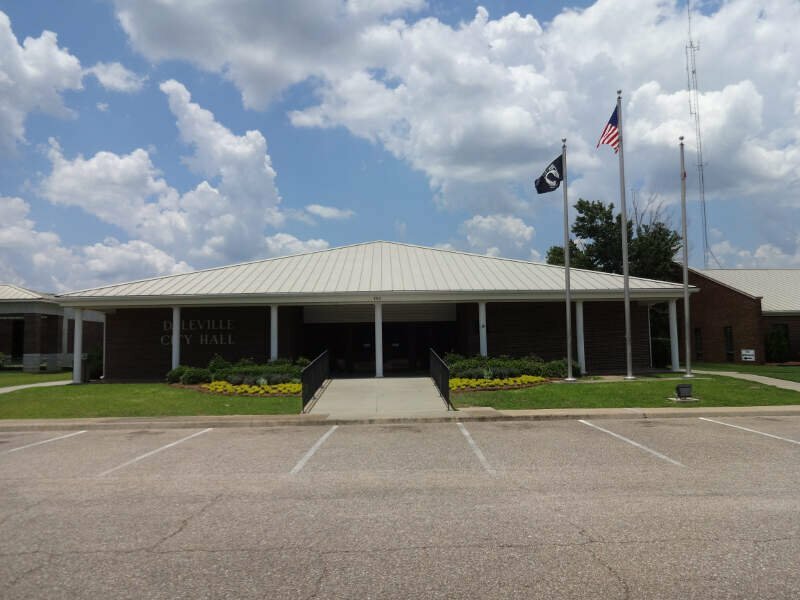 Cairns Army Airfield is located to the south of Daleville on the road to nearby Clayhatchee. 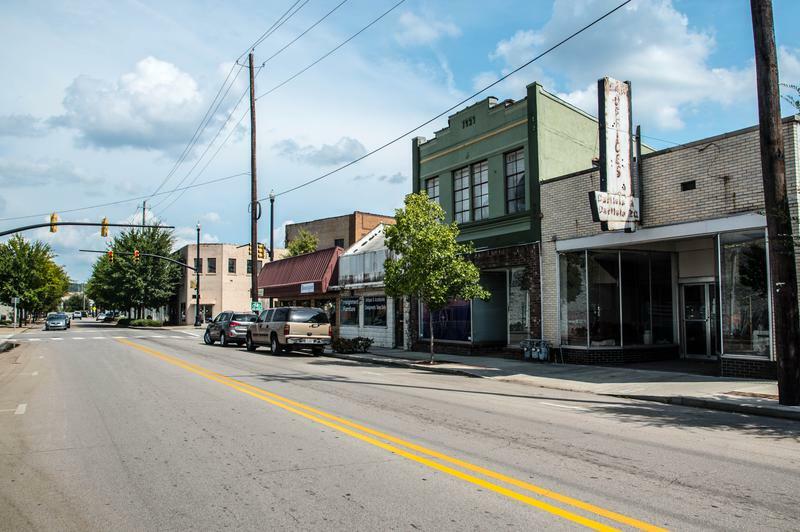 Opelika is a city in and the county seat of Lee County in the east central part of the State of Alabama. It is a principal city of the Auburn-Opelika Metropolitan Area. 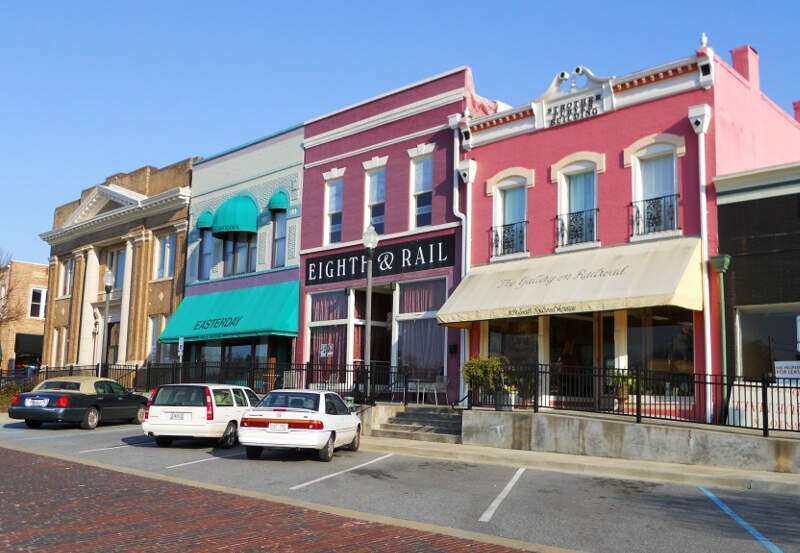 According to the 2013 Census Estimate, the population of Opelika was 28,635. 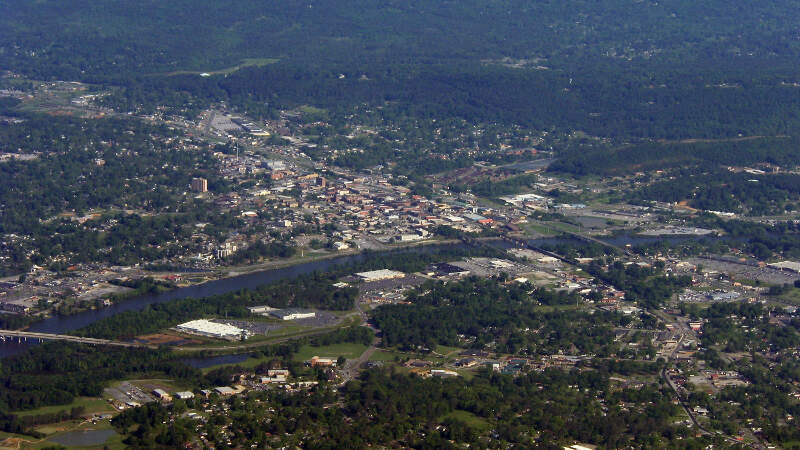 The Auburn-Opelika, AL MSA with a population of 150,933 which, along with the Columbus, Georgia metropolitan area and Macon County, Alabama, comprises the greater Greater Columbus, Georgia, a region home to 501,649 residents. If you’re looking for a scientific breakdown of diversity across Alabama, this is an accurate list.